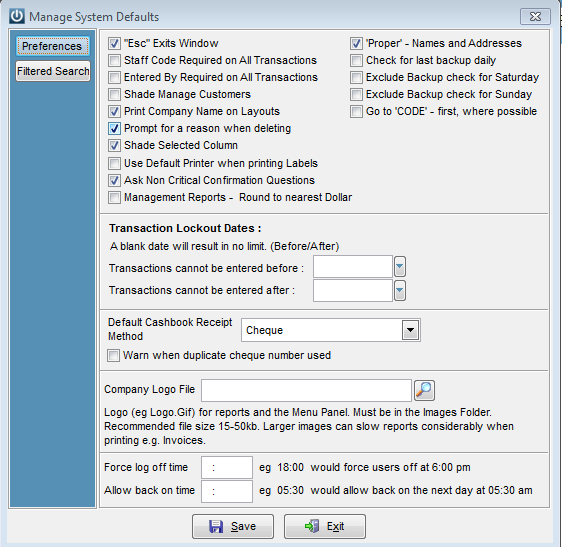 To get Logos onto Invoices and Statements etc and on the left of your screen under the menus enter it in Admin / Defaults / Manage System Defaults. The logo must be in the images folder. This can be gif or jpg and needs to be between 15-50kb. If there is nothing entered in the system defaults but have a file called LOGO.GIF in the images folder, this will be used as the logo. How Do We Make Our Logo Appear Bigger on Our Invoices and Statements? Where Do We Change Our Contact Details In Infusion?